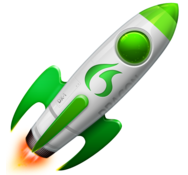 Nuance Communications, the company behind Dragon Dictation ( , for iOS) and Dragon Dictate ( , for OS X), has launched a new piece of software in the Mac App Store called Dragon Express. 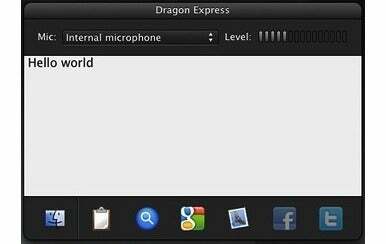 Like Dragon Dictate (which costs $200 and isn't available from the App Store), the $50 Dragon Express works with Mac OS X Lion and learns over time to understand you better, by studying your voice and the words you use. But, as you might expect from the price gap, Dragon Express doesn't have some of Dragon Dictate’s core features. For example, the pricier software allows you to dictate directly into applications. The less expensive version requires you to dictate into its own window; it can then paste your transcribed text into the app of your choosing. Dragon Dictate allows you to use your voice to edit, format, and correct transcription errors; open and close applications; and move the mouse. It also supports the recent released Dragon Remote Microphone app for iPhone. Dragon Express doesn't do any of that. If you're willing to trade those niceties for affordability, however, Dragon Express does provide basic voice transcription. When you first launch the software, it walks you through a two-minute setup process during which it learns more about your voice. Once you’ve completed the training process, you click the Dragon Express menu bar icon to make the software start listening. Recite whatever you want transcribed and then click to choose the app in which you want your transcribed text to be inserted. Dragon Express requires Mac OS X 10.7 Lion, along with 1.21GB of drive space. Nuance says that $50 is a special introductory rate, but hasn’t said when that price will change, or what the new price will be.